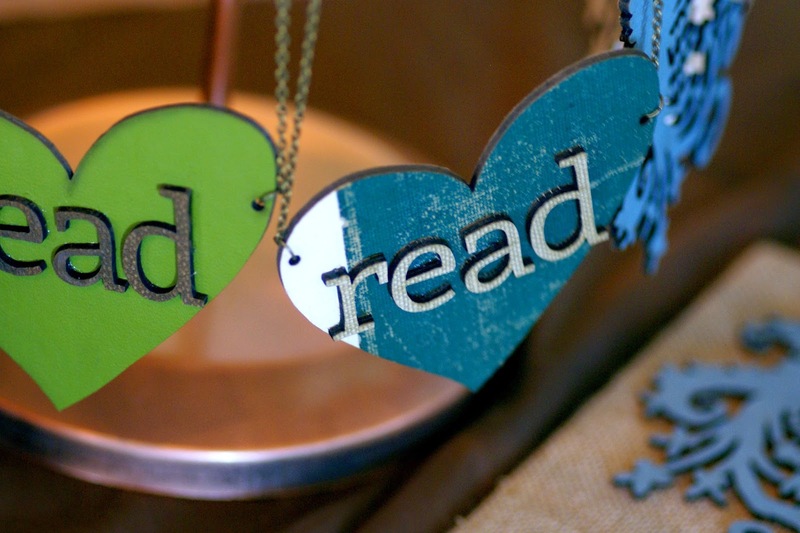 Crafting for the Love of Literature. Reinventing Books & Vintage Paper. Upcycling to Perserve & Elevate Something Great with Art & Humor. 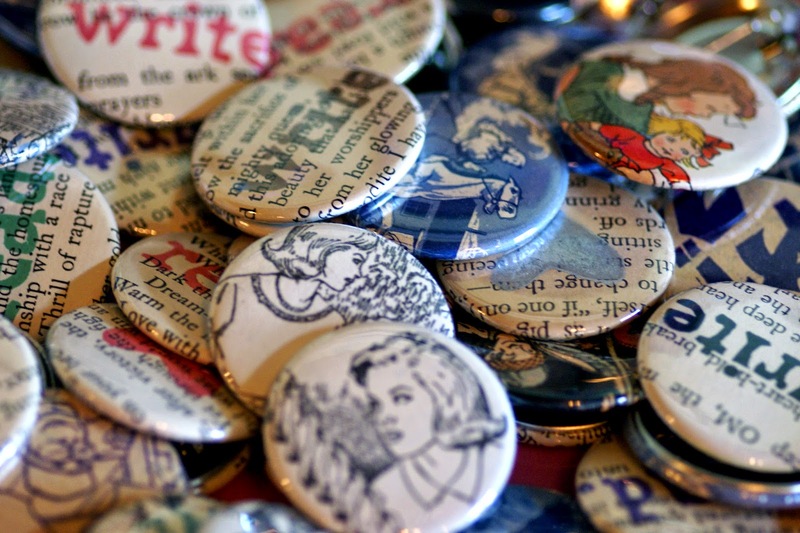 Style: Literary Love with "Vintage Wit & Whimsy"
For some artists, Upcycling is focused on taking an old, forgotten material and repurposing it as mostly new. For others like Brandy Davis of Pigsty Art, the second life one gives their Upcycled Arts & Crafts is usually inspired by the wonderful one they lived before. I may be biased as an avid reader, but I agree with Brandy that books are timeless and full of wonder. For her, they are also full of possibility. 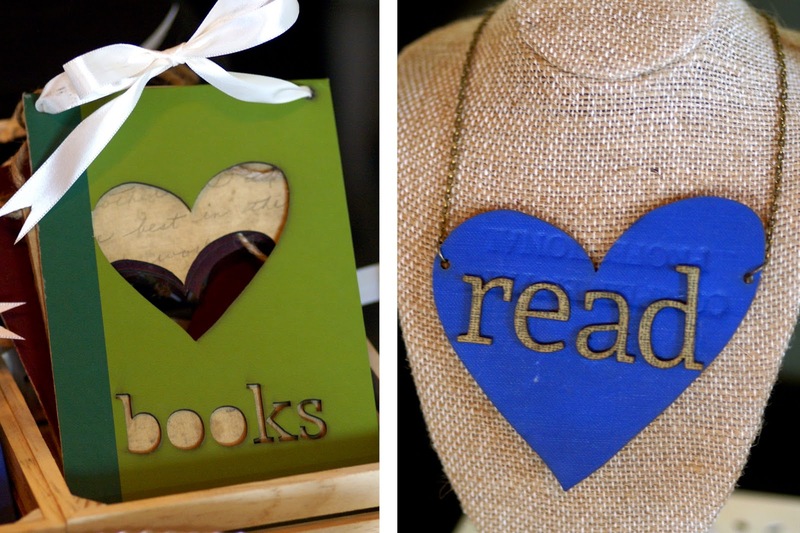 Some of her clever efforts to elevate and enhance vintage books include laser cutting covers to create necklaces and wall art to highlight a love of books and reading. She then uses the pages in buttons and magnets, among other goodies, also as nods to an affinity for reading and writing. For those of you that aspire to compose your own great works, Brandy has a constantly evolving line of journals to capture your creativity. 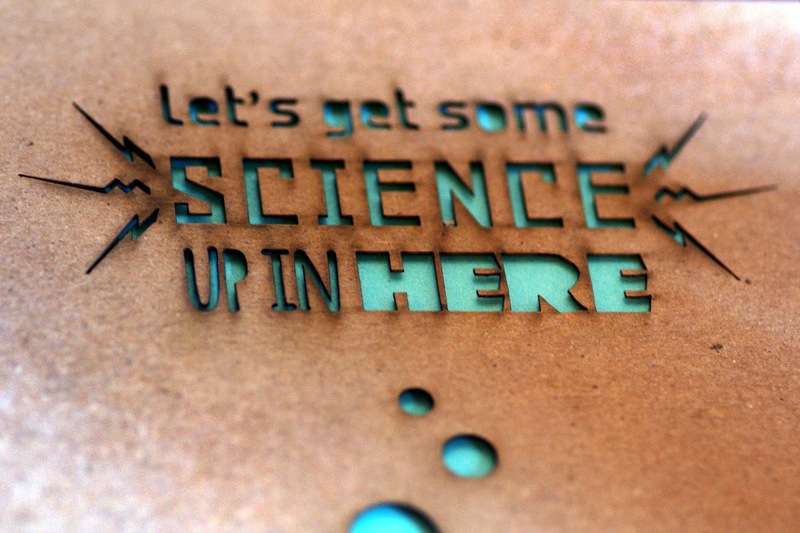 Each one is decked out with a laser cut cardstock cover in witty, sometimes nerdy designs with a pop of color underneath. My favorites include wonderful puns to get your creative juices flowing. 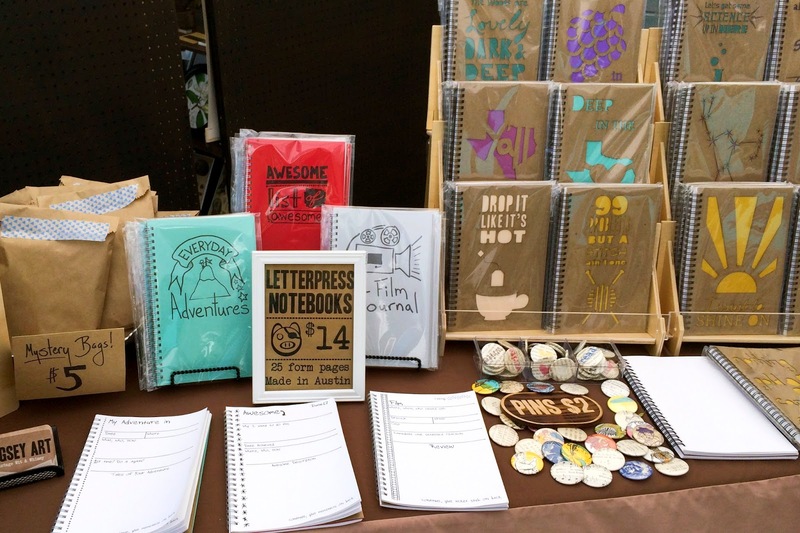 And if you're having trouble choosing which of Pigsey Art's paper goods you like best, you can get a grab bag. Brandy includes a random selection of fun with pins, magnets, discontinued journal designs and more! Book Lovers, this artist is for you!